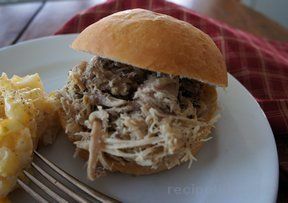 Bring the flavor of pulled pork to your slow cooker. 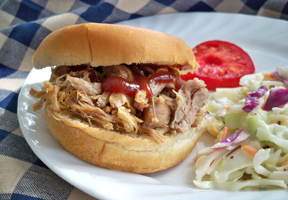 Add your favorite bottled barbecue sauce and nothing could be simpler. Serve with baked beans, coleslaw, and potato chips. Combine all the seasonings in a small bowl and rub evenly over roast. Place meat in a 6-quart slow cooker. Add water. Cover and cook on LOW for 6-8 hours or HIGH for 4-5 hours or until pork is very tender. Remove pork to a large cutting board or platter and let rest for 10-15 minutes. Pull, slice or chop to serve. 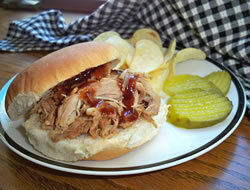 Serve in buns with barbecue sauce.